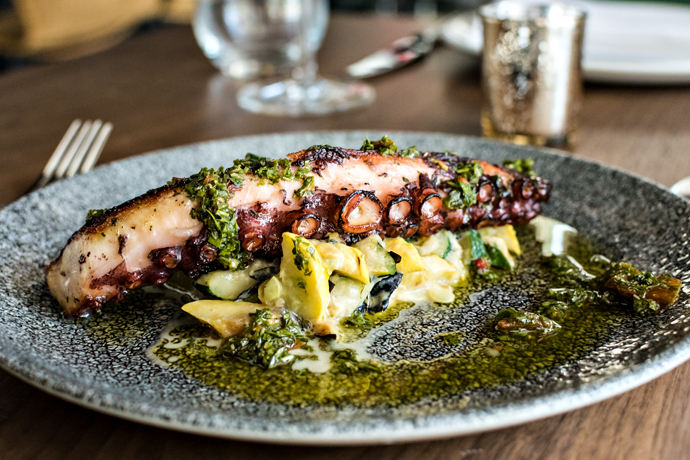 Sette Osteria is now open in Wynwood to sate your craving for all things authentic and Italian. It looks like this and you should be required by law to bring a date to it. We would never mince words about something so crucial. You might want to note that this place has 15-year-old, DC-based roots. You might also want to note that its wines hail from all over Italy. Then you might want to hit the bar over there to the side, just past the wooden sign boasting the name of the place and underneath all that lush greenery. 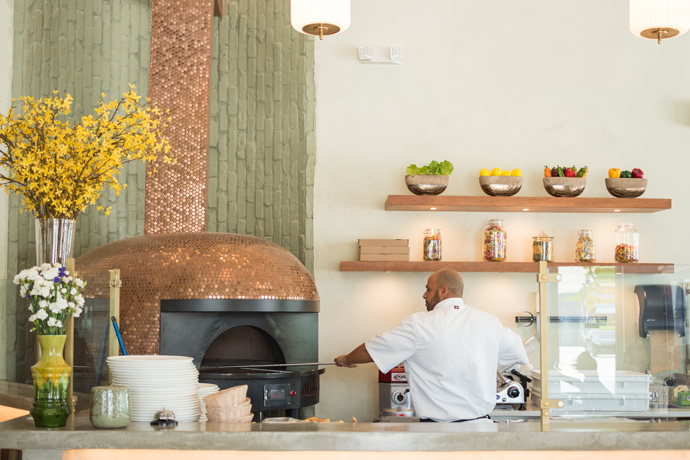 Once you've had a glass or two, it's time to make a decision: dinner at the chef's counter table with a front row view of pizza sliding in and out of the oven, or out to the patio for delicious al dente things? Given the weather, it's probably best to go with the latter. Slide into one of the grey-and-yellow chairs and get to know the menu a little better. It's from chefs who hail from Italy, naturally, and packed with family recipes. Recipes for things like burrata with heirloom tomatoes and balsamic to start. Then prosciutto e rucola pizza with fresh mozzarella and arugula as a main. Or perhaps you'll opt for the cannelloni de ricotta with spinach and fresh tomato sauce. As for the encore, tiramisu classico shared under the Wynwood sky should do.